Thank you for purchasing tickets. Tickets are now closed. If you missed out and would like to make sure you hear about next year’s, please send us an email at info@stars-mi.org to get added to our list. 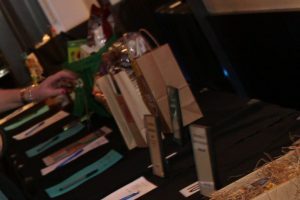 Click here to see the up to date silent auction items! The night will continue with bidding on the auction items and dancing with music provided by Prestige Entertainment. Prestige Entertainment will be providing the DJ Services this year. With years of event and wedding experience including DJ, Video and Photo Booth Services, they promise to keep the night filled with music and dancing. 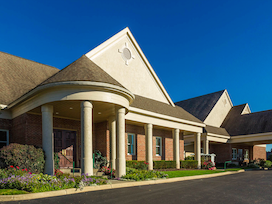 Polo Fields Country Club is a staple in the Ann Arbor area. The club offers golfing, fitness and a pool to its members. The benefit will take place in their clubhouse with delicious food and panoramic views of the grounds. The silent auction gets bigger every year. Local business, along with national companies donate to help us to take a stand against sexual violence. 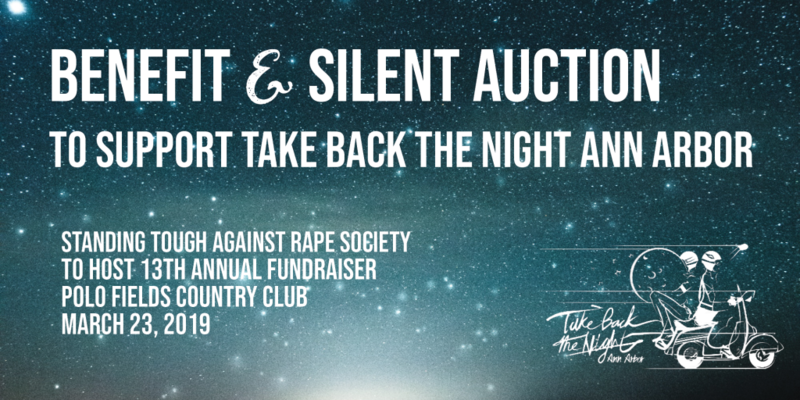 100% of the money raised from the auction items goes to put on Take Back the Night Ann Arbor. Click on the picture above to see our silent auction items!